In 2011, Brian and Michelle Lewis were rear-ended by William Clarke on a highway in Connecticut. The Lewises sued Clarke in Connecticut court. This seems like an easy case. The Connecticut courts have subject-matter jurisdiction over accidents that happen in Connecticut, and have personal jurisdiction over Clarke, a Connecticut resident. Without more, the case is a straightforward state tort suit for damages. But the Supreme Court doesn’t take cases like that, so there must be a complication. It turns out Clarke was on the job at the time, and he was working not for a private business but for another sovereign. This is not an insurmountable hurdle for Connecticut courts looking for subject-matter jurisdiction. Although sovereigns, such as states, can assert immunity from suits in federal court, they cannot do so in the courts of other states. In 1979, in Nevada v. Hall, an employee of the state of Nevada allegedly harmed the plaintiffs in an auto accident in California. The court held that California courts could hear the case, applying California law. If Clarke worked for Rhode Island, then, the case would still be easy. An employee of Rhode Island acting within his official capacity or otherwise is subject to the jurisdiction of Connecticut courts for accidents taking place in Connecticut. So what makes this case worthy of the Supreme Court’s attention? Clarke worked not for Rhode Island, but for the Mohegan Tribal Gaming Authority, an official arm of the Mohegan Tribe. Tribes, like states, have sovereign immunity, and the Connecticut Supreme Court held that this immunity applied to Clarke (who was acting in his official capacity, driving gamblers home from the Mohegan Sun casino, another official arm of the tribe). Although the court did not cite Nevada v. Hall, it presumably thought that the fact that the defendant was a tribe, not a state, distinguished the case. In other words, tribes have greater sovereign-immunity protection than states. Under the Connecticut Supreme Court’s holding, the Lewises can sue in a gaming disputes court operated by the tribe, but cannot sue in Connecticut state court. The Lewises asked the Supreme Court to review that holding, which the justices agreed in September to do. The court will hear oral argument in Lewis v. Clarke on Monday. Although the scope and extent of tribal sovereignty has waxed and waned, the modern understanding is that tribes have presumptive sovereignty over their territory and members, subject to some well-known exceptions. As a result, it is unquestioned that tribal governments have sovereign immunity, which extends to tribal officers and businesses owned and operated by the tribes. 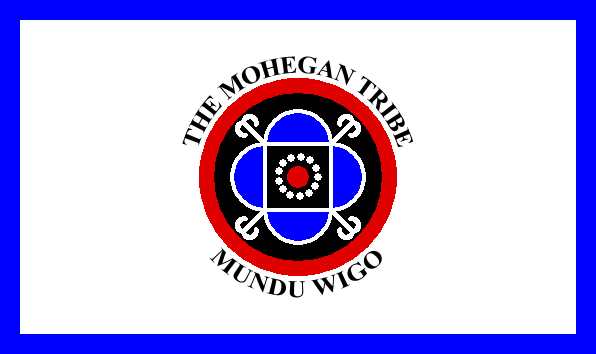 In this case, the tribe waived the immunity of the gaming authority, consenting to tort suits against it and its employees (like Clarke), but only in the Mohegan Gaming Disputes Court. The tribal code extends the jurisdiction of the MGDC to cover employees of the gaming authority operating anywhere, so long they are acting within the scope of their employment. The code also limits the recovery plaintiffs, like the Lewises, can receive. It is no doubt in part to avoid these limits that the Lewises sued in Connecticut. In dismissing the Lewises’ suit, the Connecticut Supreme Court held that “when the complaint concerns actions taken in [the] defendant’s official or representative capacit[y]” and within the scope of his employment, a plaintiff “cannot circumvent tribal immunity by merely naming officers or employees of the [t]ribe.” The only way a tribal employee could be sued in an individual capacity is if the defendant acted “manifestly or palpably beyond his authority.” In essence, the Connecticut Supreme Court was telling its citizens that tribal courts – such as the MGDC – are good enough to mete out justice for Connecticut citizens, even if injured off the reservation, so long as the defendants were tribal officials or employees. The Supreme Court has crafted a complex set of rules regarding suits against sovereign officials. Absent consent, suing state officials in their official capacity is a non-starter. Furthermore, plaintiffs cannot automatically avoid sovereign immunity by characterizing a complaint as a suit against a sovereign official in an individual capacity. In a series of cases, the court has held that sovereign immunity still applies in those cases when the plaintiff “look[s] to the government entity itself” for the requested relief. But when the complaint seeks relief from the individual, even when the individual is acting as a sovereign official, then the suit is a personal one, and sovereign immunity does not apply. In these cases, the damages will come from the officials’ personal assets, not those of the sovereign. Although the sovereign may ultimately bear the costs, such as through an indemnification or higher labor costs, courts generally do not consider this as triggering sovereign immunity. The United States, which has filed a “friend of the court” brief supporting reversal, argues that the tribe’s sovereign immunity does not extend to Clarke in this case because the plaintiffs sued him in his individual capacity, and because the damages sought would come out of Clarke’s personal assets. The government makes a compelling case that the Connecticut Supreme Court erred on this front. But the government does not believe Clarke should necessarily be subject to suit in Connecticut courts. Its brief draws a distinction between “sovereign immunity,” which it argues does not apply, and “official immunity,” which it argues may, inviting the Connecticut Supreme Court to make this determination on remand. To one not versed in the nuances of federal jurisdiction or in counting angels on the head of a pin, all of this sovereignty talk seems a bit silly. After all, the ultimate question shouldn’t be whether tribes were or were not present at the Constitutional Convention or are more or less like states, but rather what the optimal rule is for ensuring that tribes (and states for that matter) engage in socially desirable conduct. Here is where the government’s argument about official instead of sovereign immunity has some traction. The best defense of this distinction is that making sovereign actors liable for their non-policy-making conduct encourages sovereigns to internalize run-of-the-mill liabilities – like torts committed while driving – while not debilitating their ability to run the government. In this vein, the ability to sue tribal employees in their individual capacity in certain circumstances makes sense. After all, the right rule here is one in which the tribe bears the full costs of Clarke’s alleged negligence. In a sense, the accident in this case is akin to pollution caused by the tribe; if the tribe is not forced to bear the costs of the pollution, it will act inappropriately. Imagine the tribe were operating a factory on its land, and that emissions from the factory were damaging farms in Connecticut. It would be perverse to argue that the factory should be immune from suit by the farmers simply because it was operated by the tribe. It would be cold comfort for the farmers in that case, as well as for all other non-tribal citizens, if the tribe announced that it had established its own courts to hear cases like the farmers’. Because the tribe would reap all the benefits of the inefficient production without suffering any reciprocal harms, it would not have the right incentives to force the factory to internalize its costs. The same could be said here. The Mohegan Sun casino has incentives to set up a court system – the MGDC – to resolve disputes among gamblers and between gamblers and the casino. Without such a court, and with sovereign immunity lurking in the background, gamblers and other patrons could not rely on the contracts they entered into with the casino. This would reduce business, ultimately to zero. The same could be said of tort claimants. If a gambler were injured due to the casino’s negligence, say, by not wiping up a spill on the casino floor, then gamblers would expect the casino to not take the appropriate level of care, and would stop patronizing the establishment. The economic incentives created by sovereign immunity in these cases beget tribal justice that will, more or less, reach the optimal rules. In this case, though, the Lewises were not voluntary patrons of the casino, and weren’t even on tribal land. The tribe, thinking narrowly about tribal interests, would not have any reason to treat the Lewises fairly, because if they recover, the tribe would be worse off financially, and not better off in terms of the market for its casino or tribal services. At the end of the day, then, letting the tribe decide the fate of the Lewises in this case makes no policy sense: The tribe has much weaker incentives than do the Connecticut courts to protect the interest of non-tribal members who are not engaged in commerce with the tribe. But deciding this case on sovereign immunity grounds seems like an overly blunt mechanism for achieving these policy objectives. A better approach would have been for the Connecticut courts to defer to the tribal court on comity grounds, as it might to a court in Rhode Island or Texas. The courts could decide whether justice and efficiency would be served by having the courts of another sovereign adjudicate the matter – considering bias, convenience and so on – and then if so finding, dismissing the case on that ground. This process would allow a case-by-case approach that rewarded courts that protected the interests of aliens, and punished those that did not. This approach would be far preferable to a blanket rule that tribal employees or officials are immune from tort suits anywhere else but the tribal courts. At root, the case, like much of the rest of Indian sovereignty law, turns on whether non-members can get a fair shake in tribal courts. While American courts and legislatures have sometimes reached into Indian Country and asserted non-tribal justice over tribal members – for example, the Major Crimes Act gave federal courts jurisdiction over crimes like murder in Indian Country – the bulk of federal Indian law is about exceptions to tribal sovereignty when non-members’ rights are implicated. That is certainly true in cases involving non-members as defendants. For instance, in Oliphant v. Squamish Indian Tribe, the court held that tribes do not have sovereign authority over non-Indian defendants. In Strate v. A-1 Contractors, a decision closer to the facts in Monday’s case, the court held that the tribe lacked jurisdiction over an accident on a public highway running through the Fort Berthold Indian Reservation. Although the court reached the result in Strate through an application of its sovereignty test announced in Montana v. United States, it can fairly be read as reflecting a concern about subjecting a non-member to tribal justice when he is just driving through Indian Country on a state highway. Next week, the non-member in interest is the plaintiff, and in such cases, the courts have been more solicitous of tribal sovereignty. But even then, there are cases in which concerns about the fairness of tribal proceedings are aired. At bottom, the question is whether tribal courts will be able to handle the case fairly. For the reasons discussed above, there is reason to doubt that in this kind of case – an off-reservation accident involving two non-members. As for what the Supreme Court will do, it is tough to say. The court’s sovereignty jurisprudence is in flux, and the fact that the court is missing a justice complicates matters. The court took a case last term on whether to overturn Nevada v. Hall, and there were four solid votes to do so – Justice Antonin Scalia would have been the fifth in all likelihood. In that event, the whole game would be different. My inkling, though, is that these five votes, should they materialize, are generally much more hostile to tribal sovereignty than to state sovereignty, so an expansion of the latter might not implicate the former. Viewed in that light, this case could be an easy one. Tribal sovereignty may be limited to official actions of the tribe – policy-making about tribal matters, not running casinos or factories or the like, and certainly not including activities implicating the rights of non-members off the reservation who were not voluntarily contracting with the tribe. We will know more about the court’s inclinations next week.